O2COOL's portable misting fans are perfect for outdoor activities, on a picnic and especially enjoying on your deck or patio. 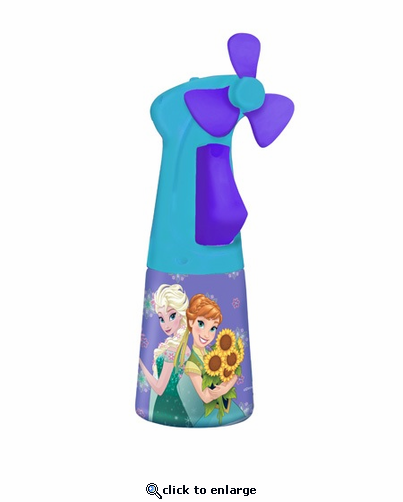 Our new selection of misting fans for kids make it more fun and easier than ever to keep your loved ones from overheating and staying more comfortable on hot summer days. A cool mist of water speeds the cooling process. O2COOL's misting fans provide a fine mist of water and a powerful fan to keep you cool when you can't jump into the pool. For best performance, always use fresh alkaline batteries. There is a risk of leakage from the battery if it is installed incorrectly. Please follow the instructions. Remove water when placing in purse or storage. When storing the fan for more than 2 weeks, please remove the water and batteries, and ensure fan is in the \xF1off\xEE position.